Our Premium Service is the most popular service that we offer, it includes everything described with our Chemical Service, along with routine backwashing and all basket cleaning service. This service works great with an automatic pool cleaner. Your pool system,and water balance will be properly maintained by our technician while your sweep will keep your pool clean of debris each time your filter runs. Your pool will be crystal clear, algae and debris free. Our Salt Water Service is similar to our Chemical with Filter Cleaning Service. This service is designed for pools with a working salt chlorinating system. Our trained service technicians test and balance your pool water on a bi-weekly basis and add salt, conditioner, PH balancers and disinfecting chemicals when needed. Salt cells will be cleaned every two months and backwashing will be done as needed. Our Platinum Service includes full maintenance on a bi-weekly or weekly basis. This service includes; Cleaning, Backwashing and Chemicals. We will skim, brush, empty baskets and vacuum (as needed) for $95-$125 per month (depending on the frequency, size and condition of the pool). PLEASE NOTE: All Monthly Services Have An Annual Flat Rate Spring Fee Of $35.00 Per Year. This Fee Is Paid Upon Initial Startup And Every April Thereafter. It Covers any Additional Chemicals, Shock Treatments, Spring Conditioning Treatments, and Extra Service Calls Needed Throughout The Year. Our green pool cleanup will completely remove all traces of algae from your swimming pool. This process includes draining the pool, cleaning up any debris and algae, chlorine washing the pool and spa surface and breakdown and thorough cleaning of the pool filtration system. 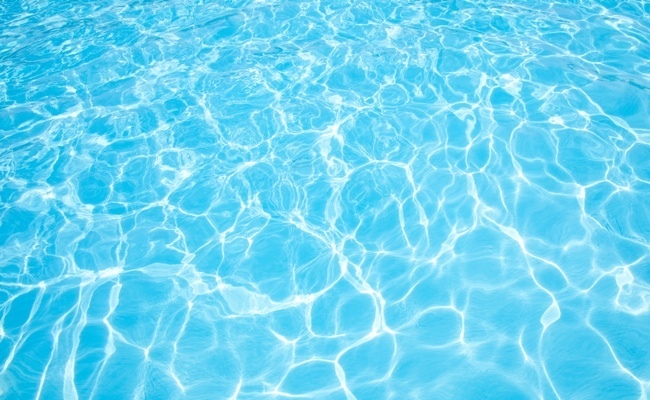 As your pool water evaporates, all the minerals stay behind and as you continuously add water this mineral content increases rapidly over time, causing your pool water hardness to increase. Eventually these minerals (mainly calcium) begin to deposit on your pool plaster surface causing unsightly staining. Acid Washing includes draining the pool, cleaning up any dirt and debris and acid washing the swimming pool & spa surface. As your pool water evaporates, all the minerals stay behind and as you continuously add water this mineral content increases rapidly over time, causing your pool water hardness to increase. Eventually these minerals (mainly calcium) begin to deposit on your pool tile and plaster surface causing unsightly staining. Glass bead blasting is a safe and effective solution for removing this white calcium buildup from your tile. We drain the water to remove the source of the problem and blast off the unwanted calcium that has attached to the surface. We then apply a protective sealant to the tiles. The sealant acts like wax applied to a car, allowing the water to bead off the tile. You will be impressed with the results as we bring back the shine and luster of your original tile.